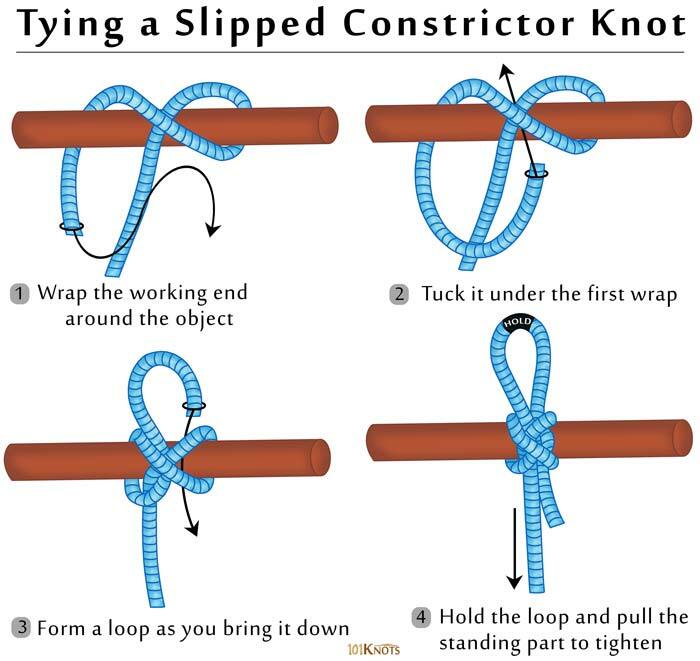 An easy-to-untie version of the constrictor knot, the slipped constrictor knot can be used when it is known beforehand that it would require releasing. However, depending on the material and the tightness of the bind it might still be quite difficult to tie. 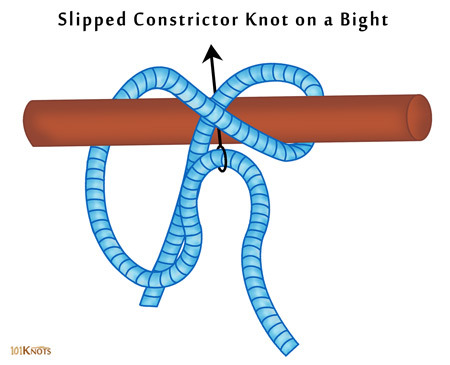 Alternatively, after the first step, a bight can be made with the working end to create the slipped part. It functions best on totally convex objects. 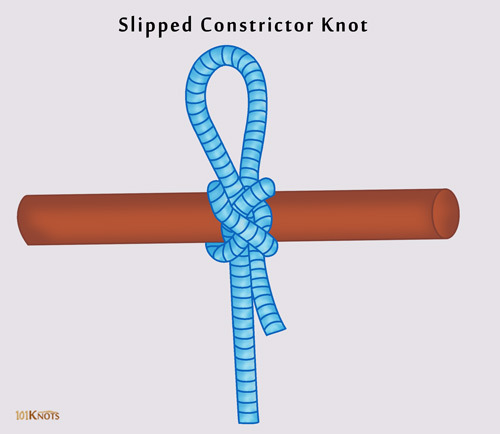 Start with more length of the working end than the constrictor knot. It can disfigure or damage items it is tied around. Hence, it is not to be tied around body parts. If untying is not an issue and you would rather like a more robust version, the double constrictor knot could be your best bet.